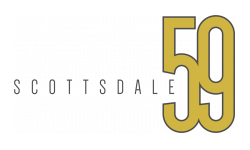 Scottsdale 59 is currently undergoing an extensive renovation to bring urban sophistication and contemporary design to one of the most sought after neighborhoods in the valley! Don’t settle for mediocre apartment living. Experience an entirely new lifestyle at our beautifully reimagined community! Whether soaking up the sun at our iridescent pool or unwinding in the sauna, our amenities will surely inspire a life of health and relaxation. And if ideal location is what you’re seeking, you will find it here! Discover all the benefits that come with our close proximity to incredible shopping, dining, nightlife, entertainment and outdoor adventure!